Did you know that when it's 80 degrees Fahrenheit outside, the temperature inside your car can skyrocket to a scalding 99 degrees in just 10 minutes? For a pet, being left in a hot car can result in irreparable organ damage and even death. Our pets are our family members and leaving them in locked cars is never safe. 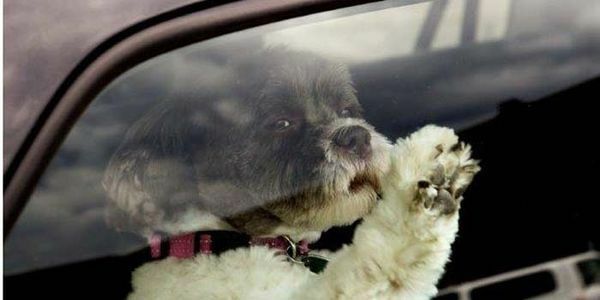 But when the weather gets warmer, a hot car can become even more dangerous for pets. Rolling the down windows has been shown to have little effect on the temperature inside a car. Pets can't withstand these high temperatures. For dogs, surviving in the heat can be extra difficult because they are only able to cool themselves by panting and by sweating through their paw pads. Sign the pledge today to never leave your pet in a hot car and to alert the authorities when you see a dog in danger in a hot car. Together, we can save lives. I consider my pet as my family and there is no excuse for leaving a pet in a car during warm weather. That's why I will never leave my pet in a hot car. If I see a dog in danger in a hot car, I also pledge to alert the authorities.